Why is it that nobody, ever, recommends an Inuke for left/right mains as an external amp, such as the Behringer Inuke 3000? The Inuke 3000 w/dsp costs around $300 rated at 315 watts into 8 Ohms, Class D power from 20 Hz to 20 Khz. They are wildly popular as sub amps but I've never understood why these aren't used as power amps for L/R or as an low frequency amp for L/R bi-amped. " A built-in crossover switch enables the amp to operate in biamp mode, sending low frequency content to passive subwoofers, while the high frequency output is channeled to full range loudspeakers." Building a new subwoofer box. No one seems to want the old box with plate amps so just selling the amps. Dayton Audio SPA500 plate amps. Been used about a year in smoke free house. They work awesome. $150 for each (i have 2) plus shipping to CONUS. Im in Northern CA if someone wants to pick up. I am looking for a amplifier for klipsch rp-250f and found Yamaha MusicCast R-N602. 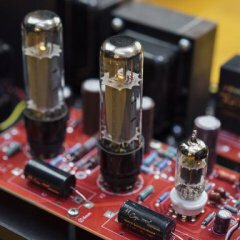 https://dk.yamaha.com/da/products/audio_visual/hifi_components/r-n602/index.html Will it be good enough for powering the klipsch rp-250f? Thank you! Hello, I recently bought 63's and I am looking for the right amp to run them. I am currently running them with a somewhat cheap pionner receiver. Don't have a huge budget so I will buy a used amp. What should I be looking for ? Thanks !!!! Complete newbie here and my very first post on this forum. I have been reading some of the posts and amazed at the wealth of information here! 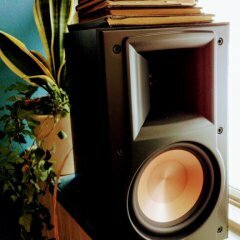 My current setup is 2.1 (Klipsch RF-82II with SVS PB-1000) powered by Yamaha RX-V567 receiver. 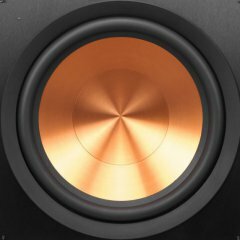 I have been reading that Yamaha and Klipsch are not best together (sounding bright etc) and thinking of moving to pure stereo setup. I do feel that they are bright and can't listen more than an hour. So I am leaning towards warm yet detailed sound. All my input will be digital and have no plans to add Phono in the future. Some of the setup combinations I have been looking are 1. DAC paired with Amp (Niles SI-2150 refurbished or Emotiva BasX A300 - both are 150wpc around $300+) a) NAD D1050 b) TEAC UD-503 c) Schiit Bifrost d) Peachtree DAC ITx Only TEAC had volume control and I would have to get passive preamp (Emotiva Control Freak or Schiit SYS) to control volume otherwise. 2. Integrated Amp NAD C368 (80 wpc) or C388 (over budget, will have to wait for refurbished) 3. AV Receiver Refurbished Marantz SR-5010 with Amp mentioned above. Since this is my first stereo setup, I want to stay under $1000 Please help me setup!!! Hi. Can you help with with a commercial application please? I need a sound system for my coffee shop. I would like really good sound quality yet I need to be mindful of the cost and want to keep it simple. Here's the setup: * Space is rectangle shape, 1000 feet (roughly 25 x 40). All dry-walled. Polished concrete floor, flat 12 ft dry-walled ceiling. It's pre-wired with Fluid 14 gauge speaker wire in four places, two each along the 40' walls, about 9' off the floor, facing one another. Space has a 8x8 bathroom in one corner so speaker on that wall and parallel wall is about 4' from that wall. * I have a friend who has Klipsch surround sound for his house and loves it. He suggests four, RP240S speakers mounted on the walls. * I'm not an audiophile * I'm not sure where I'm getting the music from. I would like to create playlists as opposed to paying for a music service. Does this mean I use a USB, a CD, an internet connection? Don't laugh, I'm not up with the times. Maybe someday I would also use a turntable input for nostalgia but this may never happen. * I'd like to have "album happy hours" and other events where the music is more a focus than a typical coffee shop. * It would be fantastic if there was a reasonable used driver (is that the term - Ha!) that would be effective and affordable. I'm happy to supply missing information. Suggestions please! Thanks.